You are here: Home / Q & A / iOS: Difference between sync and backup? 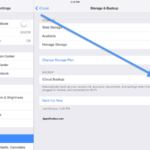 One question we get asked frequently is, “what’s the difference between iOS backup and syncing?” . This short article explains the difference between the two: sync and backup. So what is the difference between doing a backup and doing a sync with iTunes on your computer for your iPad, iPod or iPhone? Basically sync may mean two things (a) it is the process of making sure that two or more devices / systems (e.g. your iPhone, your computer, iCloud) contain the same up-to-date content (b) it is the process of, two-way, transferring content. 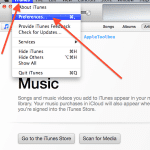 You can sync your iPhone or iPad with iTunes on your computer using USB or Wi-Fi. You can sync apps, books, bookmarks, audio content etc. Syncing process makes sure that your content (files and data) is the same on your iPhone iPad or iPod touch and computer. However, back up refers to, one way, copying of most data from one location to another. You may use iCloud and iTunes and you can back up most data on your iPhone, iPad, or iPod touch. Backing up your iOS device is a necessity, so that when things are lost, you can restore them with your backup. ‘Syncing …iphone (Step 2 of 7) backing up. So it looks like a backup is done before syncing by apple. I don’t see any controls to turn on or off backup when syncing. Please confirm / explain. Be careful if you have crashing apps and you only do a backup and then restore that backup you maybe restoring the crashing apps or other files that cause this too. Better to sync your data if you know you are having issues with the device not working properly. After you restore it sync that data back will put a fresh copy of the data you had versus putting back the same corrupted files. A backup is great when everything is working well and you want to update to the next operating system. Not so good if you are already experiencing crashes or other glitches. HI, does this mean when I do a back up and continuously sync my phone (up to date apps), then the next time i restore my phone, I will be restoring the synced version (with the up to date apps) or will I just be restoring from the original back up with the old apps? also will I be required to make a second back up if i purchased new apps? or does syncing the phone do that for me? Thanks!